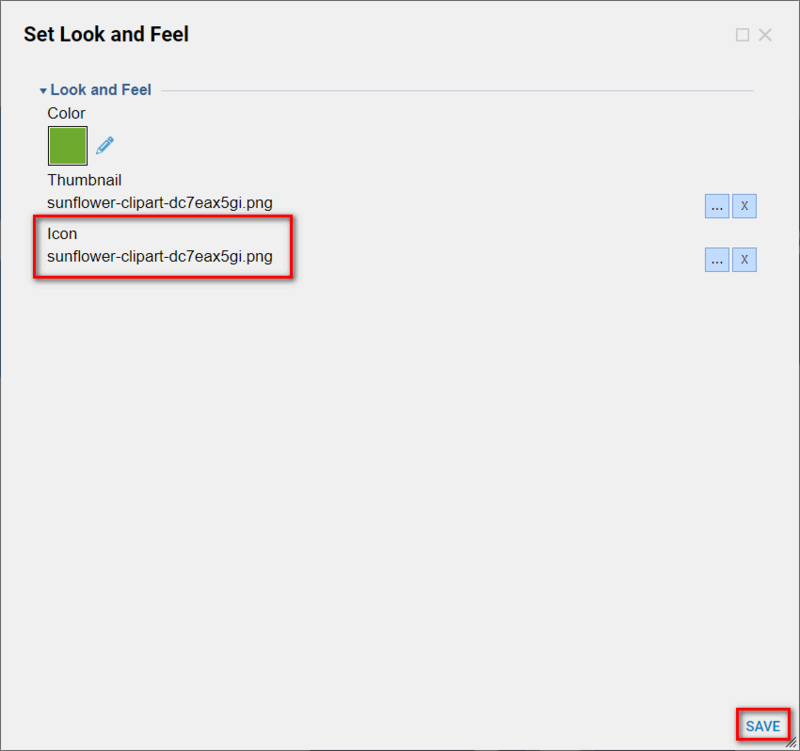 This tutorial demonstrates how to Set Look And Feel	for a Designer Folder in Decisions . This feature is implemented in Decisions 4.0 to allow Designers to set custom Icons	and Thumbnails	for each Designer Folder and set a background color for Designer Folders in My Apps Folder. 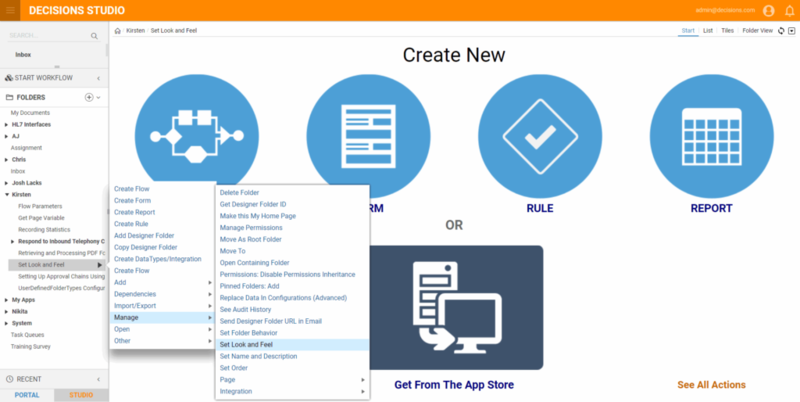 We begin in the Designer Folder that we want to customizeLook And Feel. 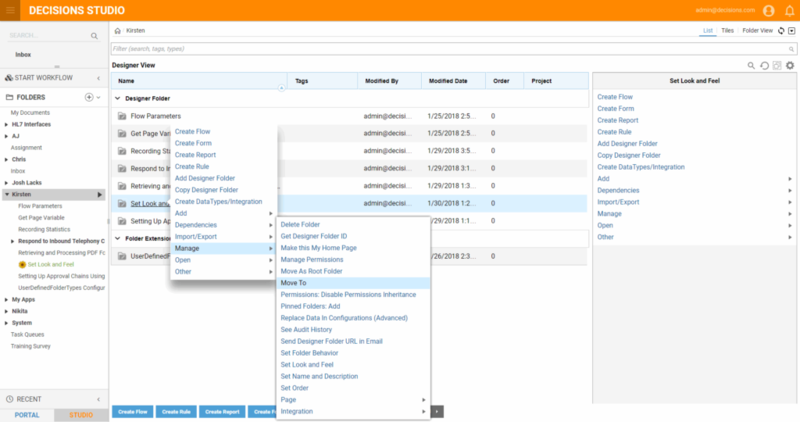 From Folder Actions we click Manage > Set Look and Feel. In the resulting window under Look and Feel	options we click Color	picker. Note:	this Color will be set as a background color for this Folder in the My Apps Folder only . 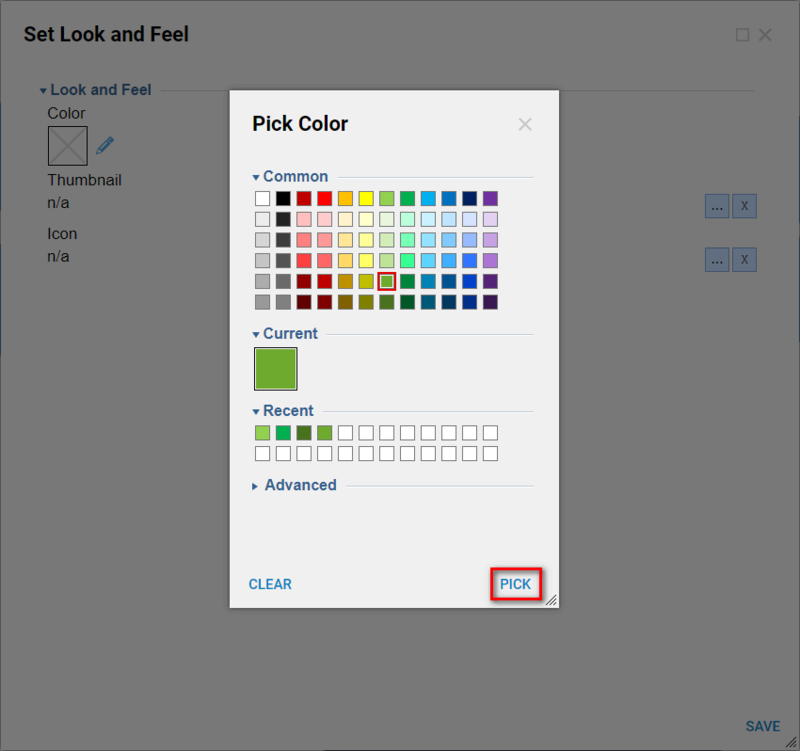 In the Pick Color	pop-up window we select desirable Color and click Ok	to save and continue. 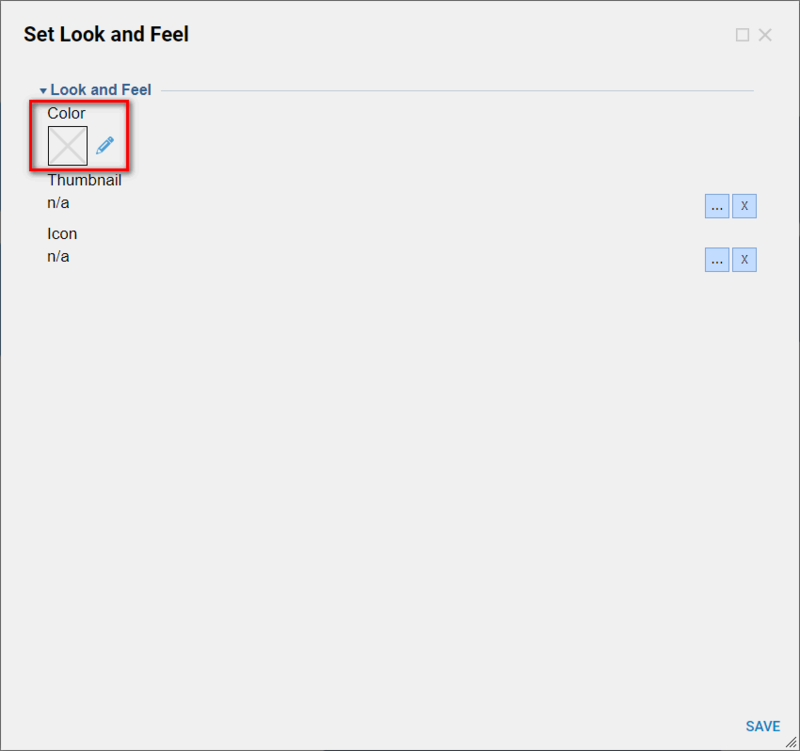 Then, we use Thumbnail	picker to select an image for our Folder’s thumbnail. Pick Image	window offers several ways to display an image. Then, we use Icon	picker to provide our Folder with Icon	image. When finished, we can click SAVE	to save and continue. 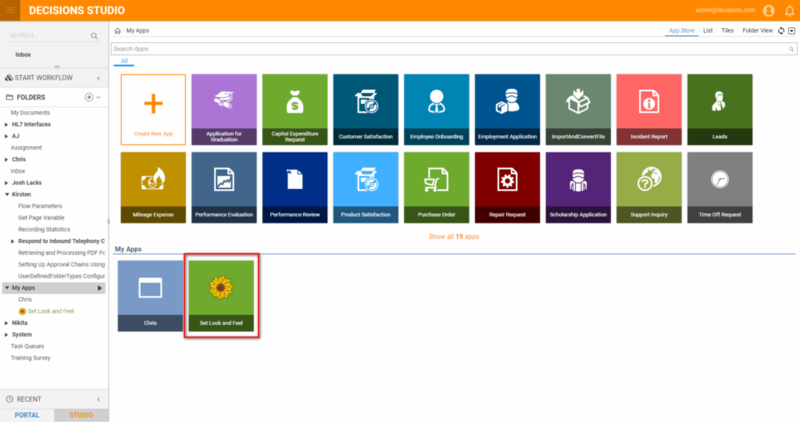 If we navigate to the Parent Folder in Decisions Portal we should be able to overview changes to our Designer Folder. We can see a thumbnail on the right panel for Folder preview, Icon in the List View , and Icon in the search results for our Folder . Next, we are going to move our Folder toMy Apps	Folder to check Background Color . 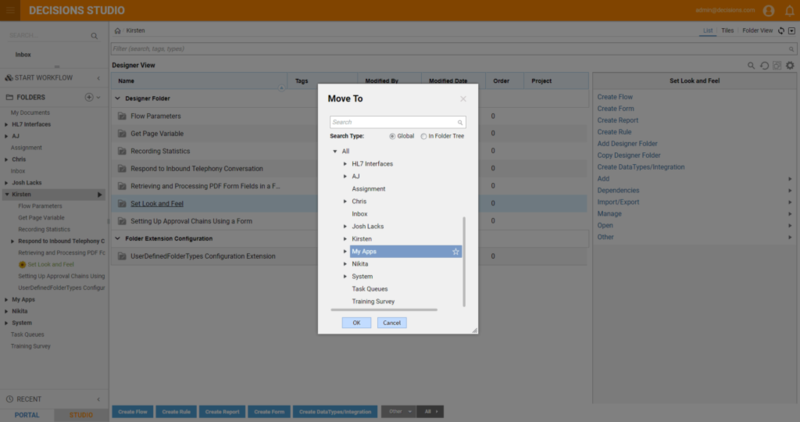 From Folder Actions	we click Manage > Move To	option. In the resulting window we pick My Apps	Folder and click Ok	.
Then, we navigate to My Apps	Folder in the Portal . We should be able to see Set Look And Feel	Folder under My Apps	section. It displays Folder thumbnail on the red background as we set in Look and Feel	settings.